We love Netflix in my house. We can watch old or new shows without spending a ton of time looking for them. I also love the fact that I can share some of the shows I watched years ago with my daughter. We can binge watch Buffy the Vampire Slayer, Saved by the Bell and so many more. I remember how I religiously watched Buffy the Vampire Slayer and had to wait week by week for the next episode, not with Netflix. Where else can you find shows that will be loved by every member of your household, without having to leave the house? Netflix has new shows, classic shows, movies and so much more. I’m pretty sure if you look, there will be something you like! I’m loving all the 90’s shows they have now. Who remembers the ConeHeads? 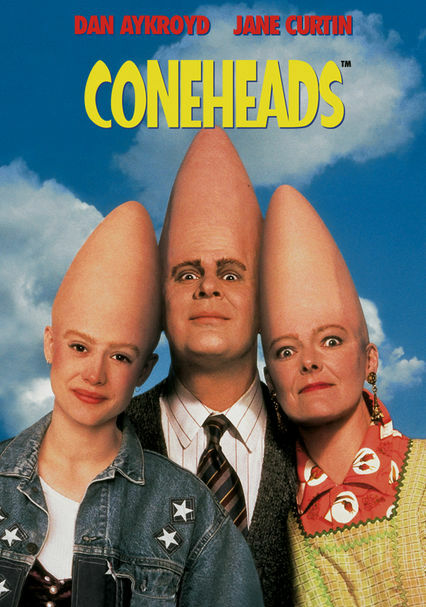 I just saw Dan Akroyd and Jane Curtin in their ConeHeads characters on a commercial recently, who has seen it? What are some of your favorite 90s shows? I remember watching the cone heads on snl.It was so silly. I don’t watch much television, but it would be fun to revisit some of these old shows. I watched Coneheads on Saturdsay Night Live. I loved Beverly Hills 90210. I just saw that Coneheads commercial! I’m old enough to remember the original SNL, so I love those old bits. If I had Netflix, I would be binge watching so many old shows…I would never see sunlight, lol. I keep thinking of getting it!